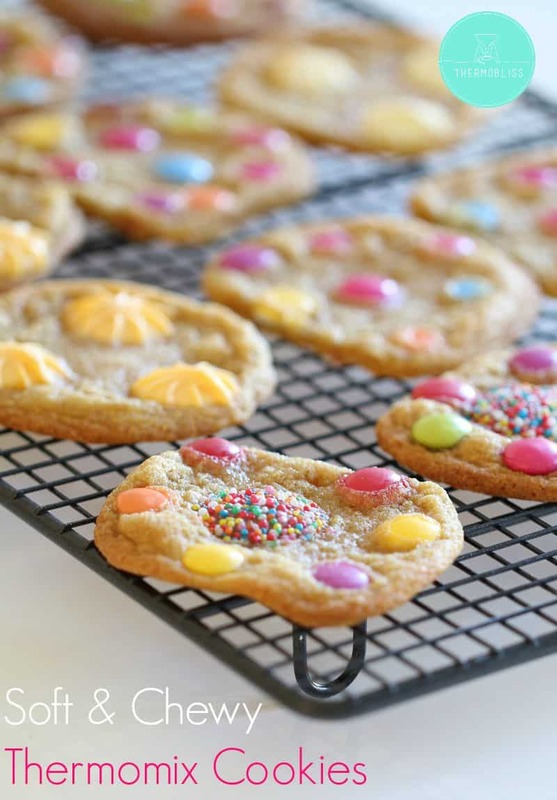 These Soft & Chewy Thermomix Cookies are just that… super soft and super chewy! 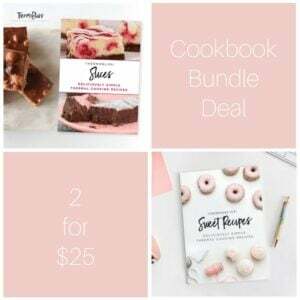 They’re sure to be a winner with kids and adults alike! 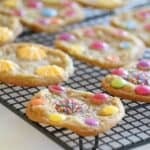 To make these cute cookies, simply whip up the easiest cookie dough in the Thermomix, roll the dough into heaped teaspoon sized balls. Don’t press the dough down because they will spread lots during cooking. 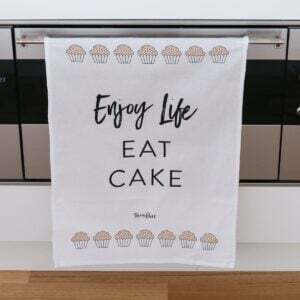 So make sure you leave a big gap between them! I usually like to pop a few Smarties or chocolate buds on top before popping them into the oven. If you want a chocolate overload, then grab out the cookies halfway through cookies and add some extra Smarties or buds (by this stage the cookies will have spread and you’ll have lots more room to add goodies!!). 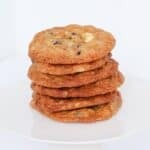 Cook the cookies until lightly golden and then leave to cool on the baking trays for 10 minutes before carefully transferring to a wire rack to cool completely. 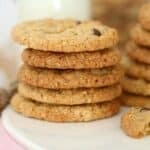 These are very much like the cookies you get form Subway – flat, chewy and oh so good! 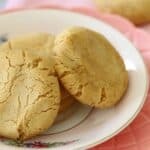 Trust me, these Soft & Chewy Thermomix Cookies will be gone in an instant (so luckily this recipe makes quite a big batch!). They’re the perfect lunchbox filler or mid-afternoon treat. 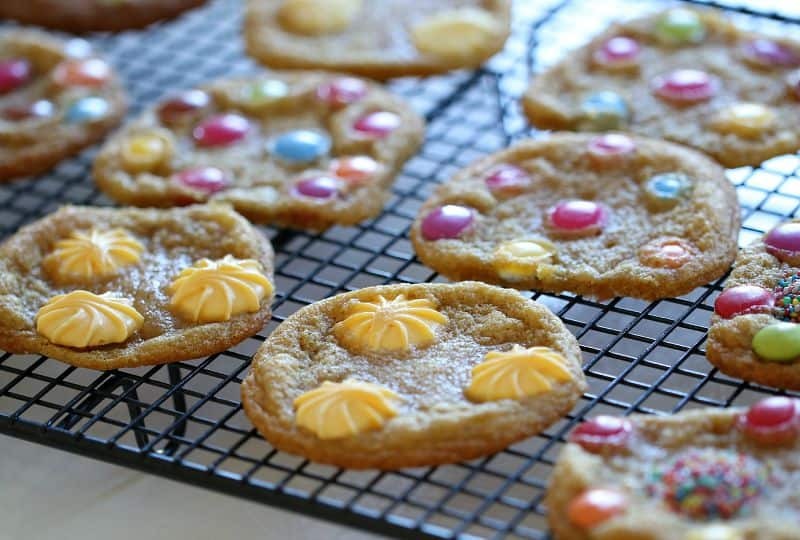 What are your favourite cookies to make in the Thermomix? Line 2 large baking trays with baking paper and set aside. Place butter, brown sugar and caster sugar into the TM bowl and mix for 1 minute, Speed 6. Reduce to Speed 3, and while the blades are turning, add the salt, vanilla extract, and eggs through the MC hole. Add the plain flour and bi-carb soda and mix for 40 seconds, Speed 4. Place heaped teaspoon sized balls of the mixture onto the prepared baking trays (allow plenty of room for spreading). 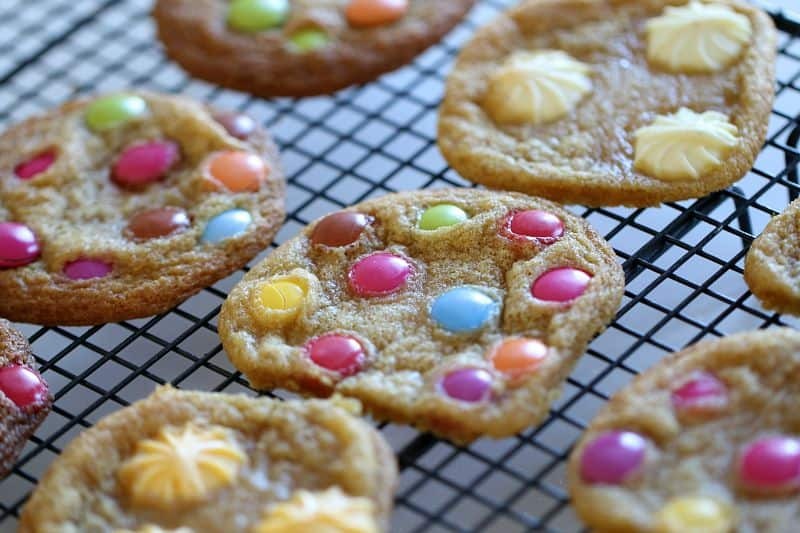 Arrange several Smarties on top of each cookie. Bake for 8-10 minutes or until the edges have just started to appear golden (don't overcook). 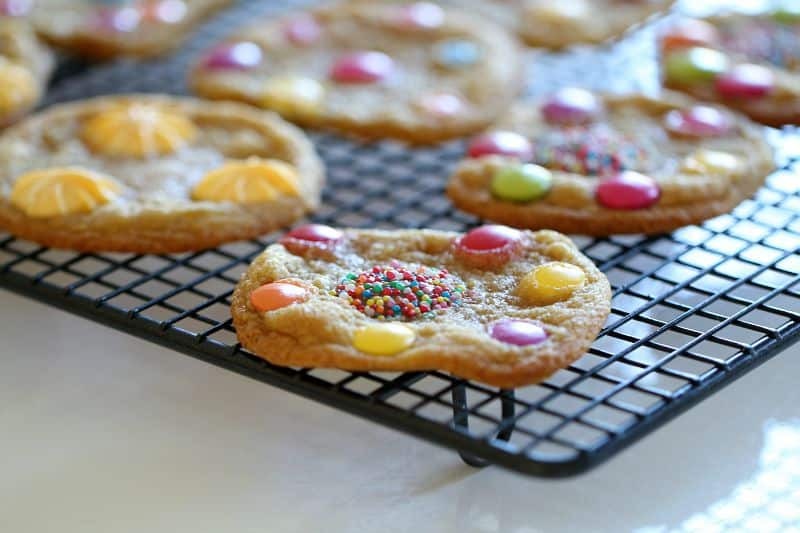 *If you want to add extra Smarties, take the cookies out halfway through cooking and add a few extras - by this stage the cookies will have spread and you'll have lots more room for extra chocolatey goodness!). Remove from the oven and leave on the baking trays for 10 minutes. Carefully use a flat spatula or scraper to move the cookies to a wire rack to cool completely.